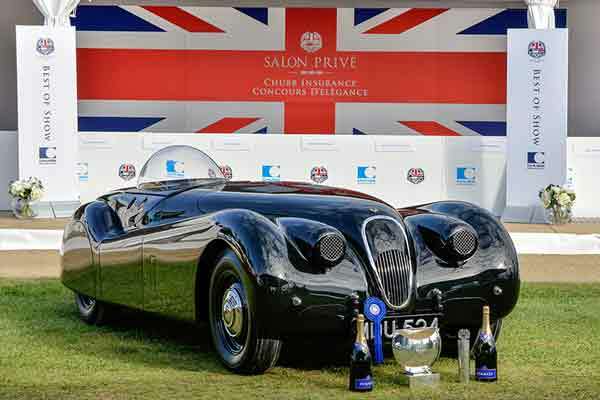 The XK120 ‘Jabbeke’, named for the Jabbeke Highway in Belgium where it set a 172mph Flying Mile world record in 1953, piloted by legendary Jaguar test driver Norman Dewis OBE, has clocked up another victory as the XK120 Jabekke wins Best of Show at Salon Prive 2015. 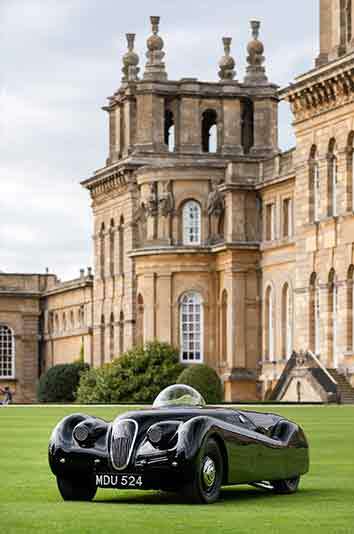 A world-class Salon Privé judging panel, consisting of 18 automotive experts headed by five-time Le Mans winner Derek Bell, carefully scrutinised the selection of some of the world’s finest cars in the stunning grounds of Blenheim Palace. The judges were impressed by the XK120 Jabbeke’s flawless restoration, heritage and historical accuracy, which was helped by the expertise of Norman Dewis OBE, who offered invaluable first-hand technical advice during the restoration. The Salon Privé accolade is the latest in a string of successes since the full restoration by JD Classics in 2013. The car won at the prestigious Pebble Beach Concours d’Elegance 2014 in the Post-War Sports Racing class before scooping Best of Show and a win in the Post-War Coachwork class at Salon Prive 2015. Originally enlisted by Jaguar as a Works Competition car, this XK120 competed at the 15th running of the Rallye International des Alpes, before going on to set a Flying Mile world record of 140.789mph in 1953. It was later that year, having lost the record to a V8-engined Pegaso, that Jaguar streamlined the body and added the unique Perspex bubble above the driver’s head and headed to the Jabekke motorway with Norman Dewis and an ambition to take back the record. The car then went on to smash the world record, setting an average speed of 172.412mph. A record still held today.